Adobe Extension Manager has been deprecated. 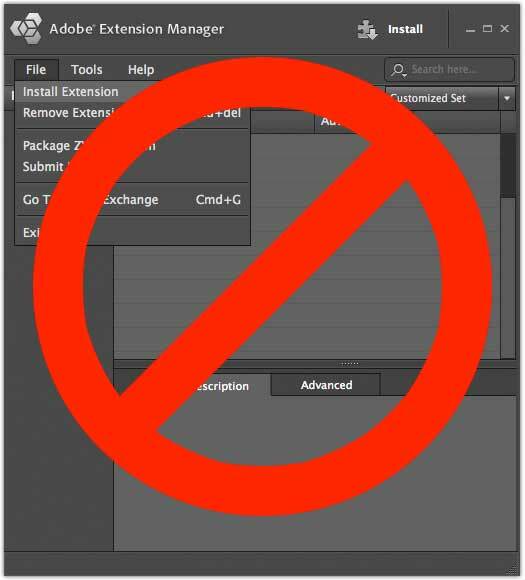 Attempting to use Extension Manager to install plugins for Photoshop CC 2015 or greater will not work. These instructions are a temporary install procedure for Photoshop CC 2015 (and greater) while we wait for Adobe to approve the Stipplr panel to the Creative Cloud Add-ons service.